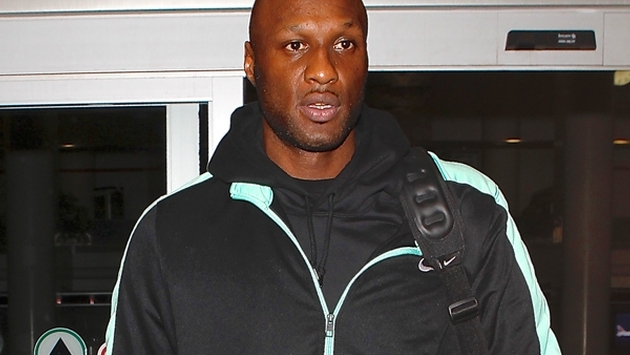 Khloe Kardashian's estranged husband Lamar Odom has reportedly moved to Spain. And we say good for him! The former Lakers and Clippers player has relocated from Los Angeles to the Basque city of Vitoria-Gasteiz after signing a contract to play basketball for Laboral Kutxa. A spokesperson for the team confirmed to Us Weekly that the 34-year-old has been signed for two months with an option to extend to the end of the season. Lamar allegedly arrived in Spain on Tuesday, Feb. 18, and if he knows what's good for him, he'll stay a lot longer! Vitoria-Gasteiz is in the heart of the Basque Country in Spain and it's simply beautiful. The second week of June, when the Vitoria Jazz Festival takes place, is the best time to be in Vitoria-Gasteiz. But visiting during any time of the year is just as great. There are a ton of museums — the museum of archeology and the natural science museum are popular — and art galleries to visit. Plus, there are two gorgeous cathedrals in Vitoria you MUST see: Maria Immaculada and Santa Maria! And now to that list add a great basketball team. Vitoria-Gasteiz is considered Basque Country's forgotten gem. Lamar has a lot of culture and experiences to take in while in Spain. We hope this move will help him heal after his very public split from Khloe in 2013.